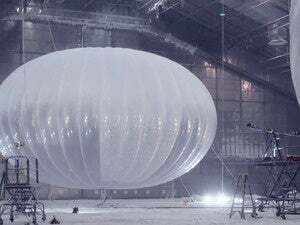 Alphabet aims to bring the Internet within the reach of some 100 million people in Indonesia through its Project Loon balloons flying 20 kilometers above the earth. The company said Thursday that the country's top three mobile network operators—Indosat, Telkomsel, and XL Axiata—have agreed to test the balloon-powered LTE Internet connections over Indonesia next year. 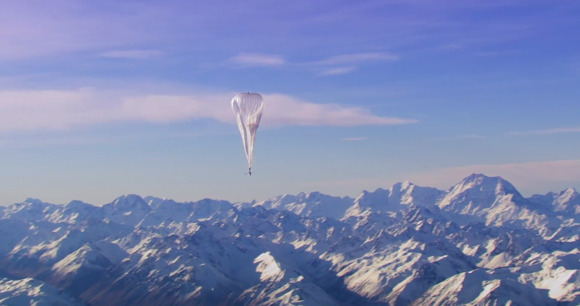 Project Loon, started in June 2013, aims to use a network of balloons floating on the edge of space to connect people in rural and remote areas. The project partners with local telecommunications companies to share cellular spectrum, and the balloons relay wireless traffic from mobile phones and other devices to the Internet using high-speed links, according to the website of the project. By moving with the wind, the balloons can be arranged to form one large communications network that helps telecommunications services providers extend their networks. The use of balloons to fill coverage gaps where traditional broadband connectivity cannot reach is particularly relevant in Indonesia which is an archipelago of over 17,000 islands with jungles and mountains. Project Loon can help overcome the difficulties of spreading equipment across the islands, providing connectivity to even the most remote islands, Mike Cassidy, vice president of Project Loon, wrote in a blog post. The tests represent an important step toward bringing all of Indonesia online, he added. Only one out of three people in the Southeast Asian country are currently connected to the Internet, and over the next few years, Google hopes Loon can partner with local providers to put high-speed LTE Internet connections within reach of more than 100 million currently unconnected people, Cassidy wrote. Project Loon is being run by an independent lab called X within Alphabet, Google's parent company, after a reorganization this month. The lab incubates new initiatives like Wing, a drone delivery project. The balloon system has been trialed with Telstra in Australia, Telefonica in Latin America and with Vodafone in New Zealand. Bringing underserved populations on to the Internet has emerged as a goal for technology companies, particularly as these people could turn out to be potentially large markets for Internet services. On Wednesday, Facebook CEO Mark Zuckerberg said in Delhi that his company, which has about 130 million users in India, aims to connect the other 1 billion people in the country who don't have access to the Internet yet, to bring to them the opportunities of education, health information and other benefits that the Internet can bring. Facebook's Free Basics service that offers free access to a few services through a local telecommunications operator has been criticized for creating a "walled garden" to promote a few services including Facebook. Zuckerberg said the "zero-rating" or toll-free provision of services was not opposed to net neutrality, which has been recognized in the U.S. and Europe. The Free Basics platform has also been thrown open to developers if they meet certain basic conditions, he added. To boost Internet availability in remote locations, Facebook is exploring the use of satellite to beam Internet services and recently bought satellite bandwidth to deliver free services to Africa.